Bright Sky Lending is not a service that makes loans direct; we are a lender matching service. Brightskylending has collated a large network of lenders who provide short term finance to consumers ranging from $200 up to $2,500. Customers use this type of short term loan for a whole range of emergency uses. 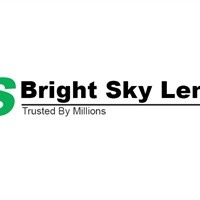 Unlike loan stores, you can apply for a loan through Brightskylending.com without ever having to set foot inside a store.